Age Limit 40 years for SC / SCA / ST category applicants. 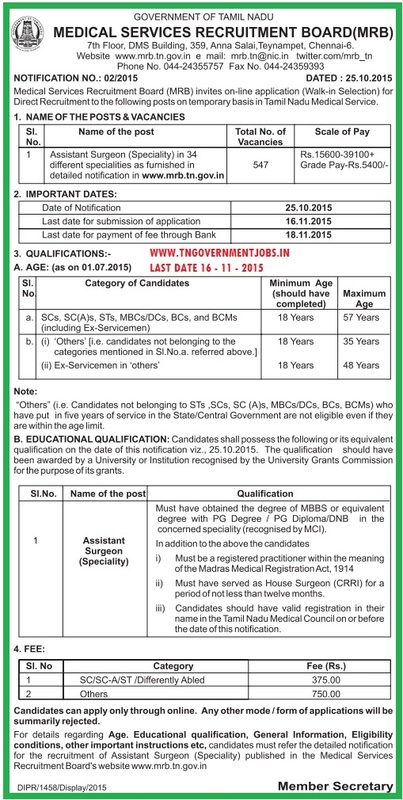 Age Limit 35 years for BC / MBC / UR category applicants. Roster system will be followed as per Government of Tamil Nadu norms. Application Form is available in College Office. Age relaxations are application as per Government of India norms. 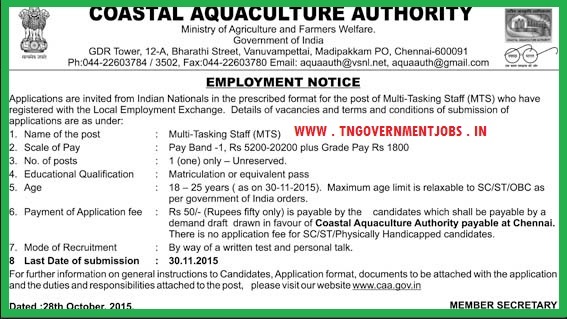 Application Fee Rs.50 by Demand Draft in favour of "Coastal Aquaculture Authority" payable at Chennai for UR and OBC candidates. There is no fee for SC / ST / PwD and Ex-serviceman applicants. Selection through written test and personal intervidew. Applications are invited for the post of Receptionist and CAO Posts in Tamil Nadu Urban Finance and Infrastructure Development Corporation Ltd (TUFIDCO) Chennai under direct recruitment process. 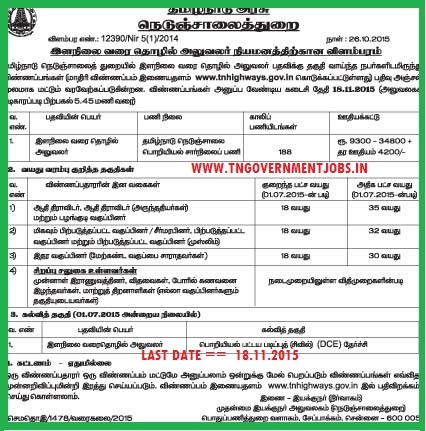 Resident of Arcot candidates alone eligible to apply. 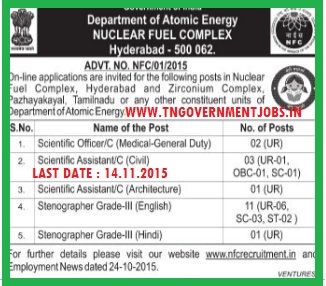 Interested and eligible candidates may apply with all necessary documents to The Commissioner, Arcot Municipality Office, Vellore District, Tamil Nadu, on or before 11th November 2015. 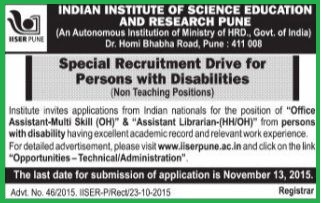 Selection through personal interview for DM post. 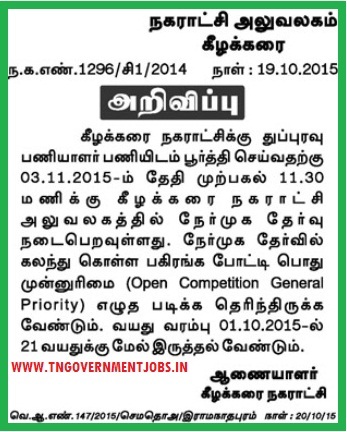 Resident of Virudhunagar candidates alone eligible to apply. Interested and eligible candidates may apply with all necessary documents to The Executive Engineer (AE), Joint Diretcor of Agriculture Office 2nd Floor, Collectorate complex, Virudhunagar 620 002, Tamil Nadu, on or before 13th November 2015. 57 years for SC / SCA / ST / MBC / DC / BC / BC Muslims and Ex-service-men from these communities. 48 years for UR category Ex-service-men. 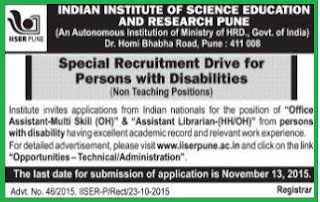 Additional Age relaxations are applicable to the Differently Abled Candidates (PH / PwD) (Normally 10 years are applicable for PwD). 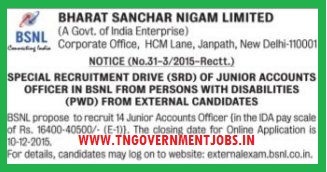 The above vacancies are under 'temporary basis' only.